that was able to answer this question: why me?" Why I left my work in a hospital to give space to the Nature of Life. I graduated in medicine and surgery in 2007, at that moment I was happy and tired. After 6 years of study and sweating on the books, I was pretty much looking forward to really care about other people and to start my career as a doctor and an independent man. In the years that followed I worked in night shifts or as a substitute for family doctors while continuing my studies in emergency medicine and family medicine. It was a good time: work, money, not big responsibilities, independence. But it didn't last for long. In the young doctor's soul there was a feeling of something misplaced inside. So I realized that western medicine gives answers to the questions "what", "who", "where", "when"... but not to the "why". So the police know the crime scene but didn't find the "motive". and why my cells start to go crazy and do that? and why not my friend that drinks 6 coffees per day?" There was no answer to that question in my books and at the desk of my teachers. I wanted to know if there was somewhere in the world somebody able to answer this question: why me? I started to learn that other Medicines exist, so I studied Ayurveda, Homeopathy and Shamanism. Learning the ancient cultures my "whys" started to find answers. I started to understand that the "motive" of the discomfort was not for sure located in the body. little note: I didn't like and accept the "new theories" so easily, they looked to me ignorant and silly at the beginning. I was a DOCTOR. So I'm grateful to all my friends that put their feet in the "absurd workshops" before me, they taught me with their life changes that I could benefit of something I didn't know and that wasn't written in a big medical book. 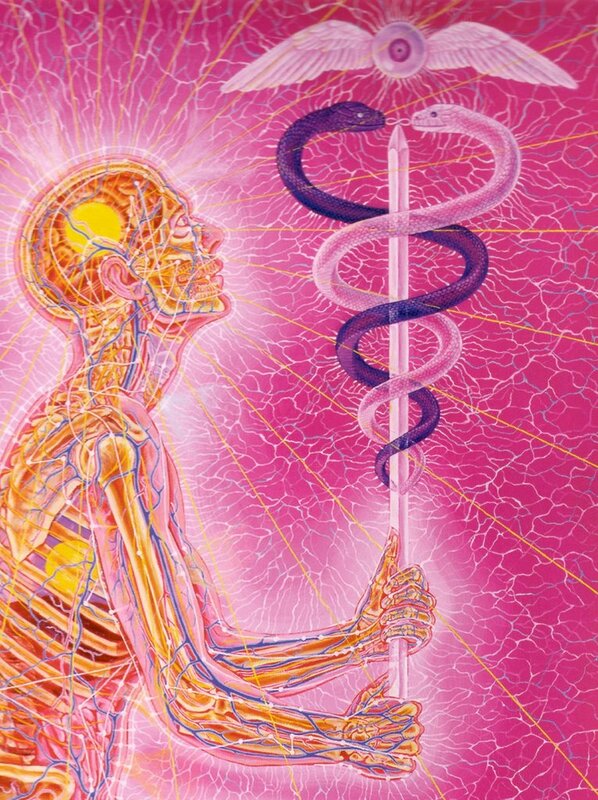 little note 2: I'm not one of the healers making war against medicine or vice versa, this is not in my intention. I'm grateful for all that I learned from medical school and all the tools I have now to understand human nature are growing in the matrix of my medical culture. I chose the path of integration. Why wasting time fighting for who is right when you can take the best from both different cultures, combine them together and enjoy the new results? So, what if somebody would have experienced a total remission from a disease? Well, it looked like this. Did you know there are tools to heal depression in 1 session? Did you know you can erase polluting patterns from your body with the help of a hand-touch? Did you know there are people healing very bad conditions with energetic work? I didn't. Now not only I know it from my mind, I personally experienced it and then helped many other people to overcome their limitations and diseases. To integrate medicines gives deeper results and more stable healthy conditions. ... it's much more FUN and FREE! a completely different place to serve and support others! It is so much joy to create different spaces when is needed, to shift from sitting on the doctor desk into performing a shamanic ritual; from prescribing drugs to support people in responsibly navigate their emotions. to fully live your very special healthy life? For my personal experience, mind crash and healing, I have another story to tell today. Write me and TAKE YOUR LIFE BACK. Penso che se tutti i medici la pensassero come te, avremmo meno malati in giro! Ti stimo molto.